Loreto Coleraine bridged a 10 year gap to collect their second Fr Davies’ Cup in Ballymena before the Corn Uan Uladh Final. Eilís McNamee, Megan Kerr and Claire Tracey were superb at the back for Loreto while midfielders Roseanna McAleese and Cristin O’Kane worked hard while there was danger up front from Clodagh Connolly, with Nicole O’Neill accurate from frees. St Pius X didn’t have the same number of players who constantly lifted their game. Many were there for short bursts with Sarah Cassidy and Caoimhe Glass the two that played consistently well. St Malachy’s Castlewellan captured Camogie’s Junior Medallion Shield with a power-packed display in Casement Park. Midfielders Dearbhla Magee and Anna Rogan powered their team forward and scored 4-3 of the total. Kilrea goalkeeper Rosie McMullan and Mary Jo Brennan worked tirelessly throughout the hour to keep St Malachy’s at bay. 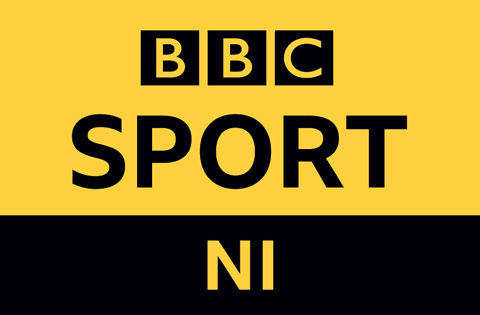 Holders St Mary’s Magherafelt, with 10 players from last season’s winning side, proved much too strong for first time finalists St Killian’s Garron Tower in the Corn Eimhear final in Ballymena. The twin threat of Ballinascreen pair Eimear McGuigan and Jackie Donnelly caused St Killian’s battling troop’s endless problems. By the end of the first quarter their more clinical forwards had accumulated 1-3, and this was stretched to 1-9 by half-time. St Mary’s ran out comfortable winners despite best efforts from Annie Leech and Dervla Cosgrove. After finishing 1-3 each last Sunday in this all-Cavan Senior Shield final, a low-scoring replay was anticipated with both defences in the ascendancy. That was how this game panned out the first half with St Claire’s 0-2 to 0-1 ahead at the break. Loreto then put the foot down in the second half with Katie and then Laura McKiernan (2) finished the scoring for Loreto, who now go through to the All-Ireland series in February. 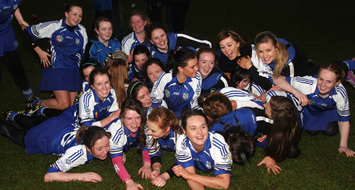 Photo: St Patrick’s Maghera after winning their 4th successive Corn Uan Uladh title. Picture courtesy of Paddy McIlwaine.